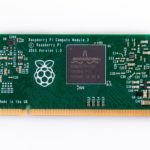 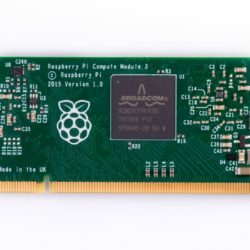 The Raspberry Pi 3 Compute Module (CM3) is a small System on Module form factor version of the popular Raspberry Pi 3 single board computer. 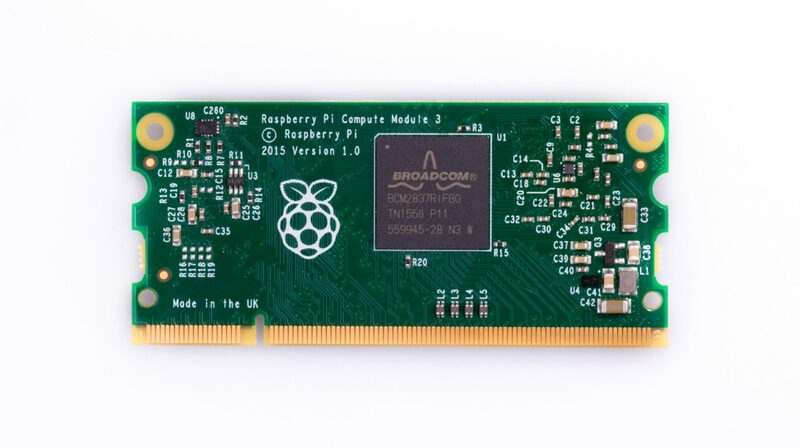 It uses an SoDimm connector to interface with the onboard Broadcom BCM2837 SoC, 1gb of RAM, and 4gb of local eMMC storage. 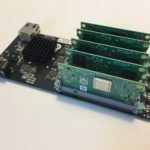 These modules are placed in the 5 Node Raspberry Pi 3 CoM Carrier Board, to add the compute capacity.